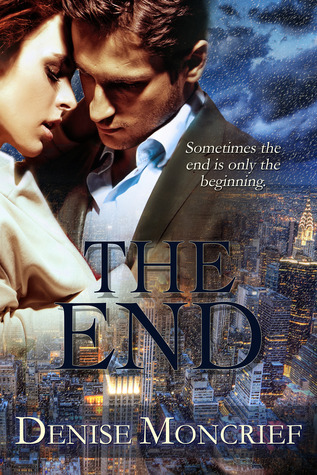 Romantic suspense is one of my favorite sub-genres and The End didn’t disappoint me in any way. The opening got my attention and set in motion a lot of what if questions that kept me reading on. Was there a connection between Ellie’s husband’s manuscript and her being fired from the District Attorney’s office? Once the idea was planted in my head, I felt compelled to spend time reading more pages at one sitting just to find out if my suspicions were correct. I thought Ellie was a fun character, and although as in all romantic suspense, you have mixed feelings about the hero, as in this case Paul, I hoped he’d end up being the good guy when all was said and done. The pacing is fast and the dialogue very natural sounding. I also liked the setting of this book and that there was a hint that maybe the author has another book in mind using Ellie and Paul. If like me you enjoy suspense with a romance, this is might be a good winter read for you.